Would you be surprised if I told you that the lawn mower was a Scotttish invention? I was! Even though I knew that Scottish ingenuity is source of numerous inventions. He died at the young age of 44. Fortunately, his son, James, presented the mower at the Great Exhibition in 1851 and this event leaded to a successful business that continued for decades. 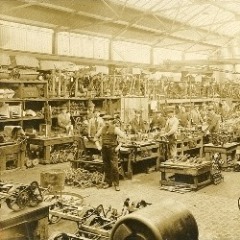 As it happens quite frequently with inventions, they are credited to more than one inventors. 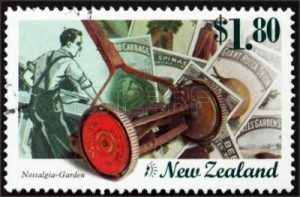 In this case you may see credit given to the Englishman Edwin Budding (1795-1846) but nevertheless, on the website of the Australian Museum of Applied Arts & Science‘s we can admire one of Alexander Shanks & Sons Ltd’s ‘Ivanhoe’ roller push lawn mower in timber-steel. 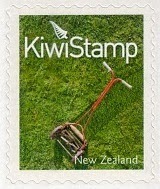 I was curious to see if any postal administrations would have issued postage stamps to commemorate lawn mowers. Scotland does not produce their own stamps, and since 1958 they have regional stamp issues, but they are part of the Great Britain Royal Mail program. Did not find any on the topic, so I decided to investigate other countries of the world. 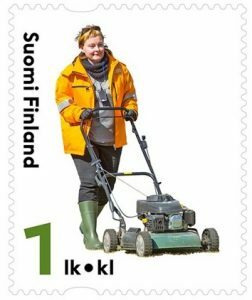 Finland’s postal service will be doing more than just delivering letters and parcels this summer – its workers will be mowing lawns, too. The push lawn mower, now mostly replaced with motorised lawn mowers, but some are still kept for use at the holiday batch. No petrol needed, just take it out and push. This series depicts some home-grown words, icons and locations for each letter of the alphabet. 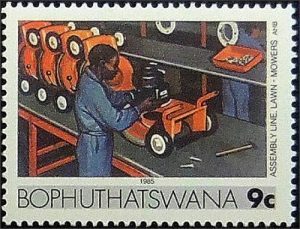 According to the Stamp Bulletin no. 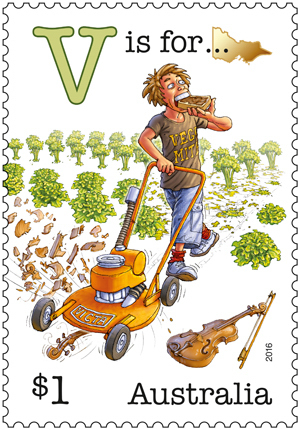 339 : the V on the stamp for Victoria, Victa, vegemite, vegetables, violin. 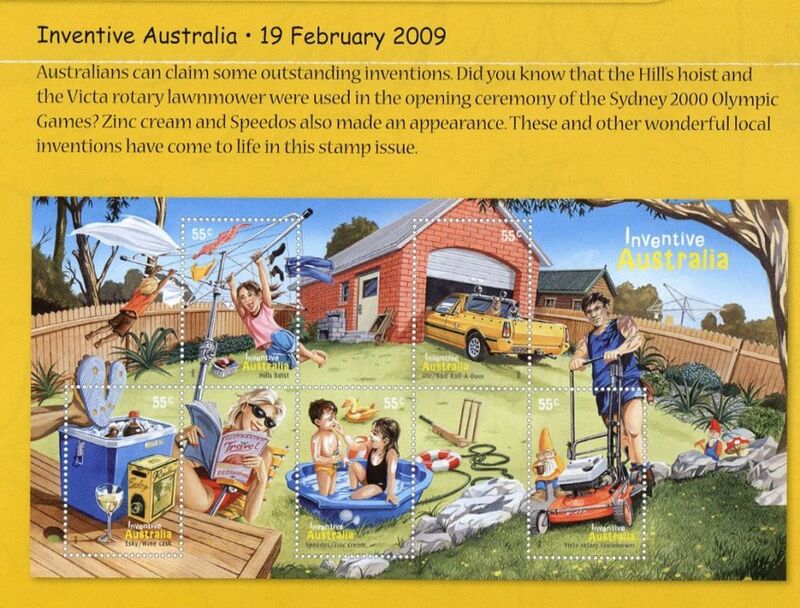 Well, well well…who would have expected postage stamps depicting lawn mowers? 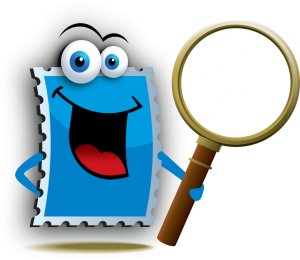 I am happy to contribute to this topical stamps checklist! Until next, all the very best.